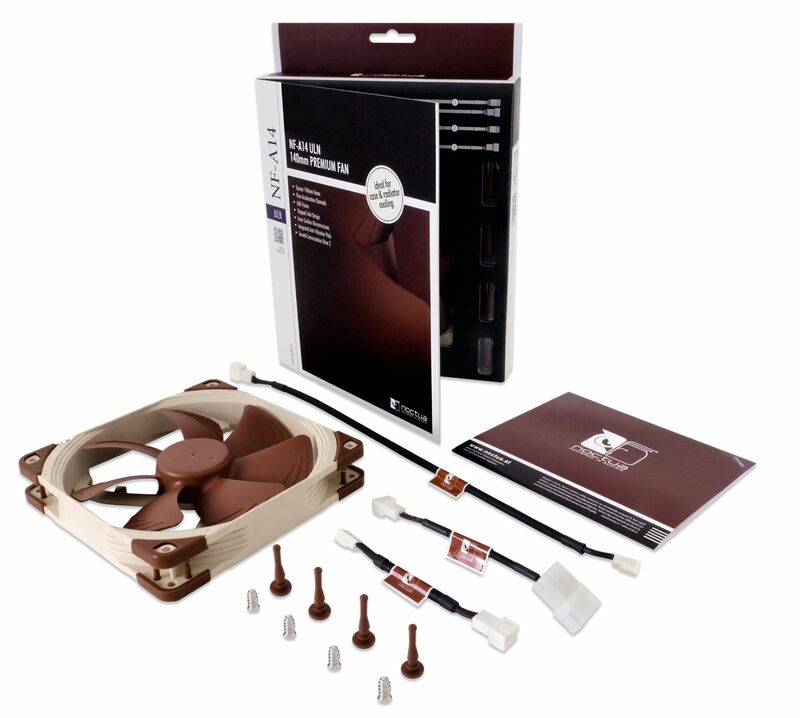 The fully featured NF-A14 ULN is a 140mm fan that is ideal for use on watercooling radiators or as an upgrade for 140mm case fans. 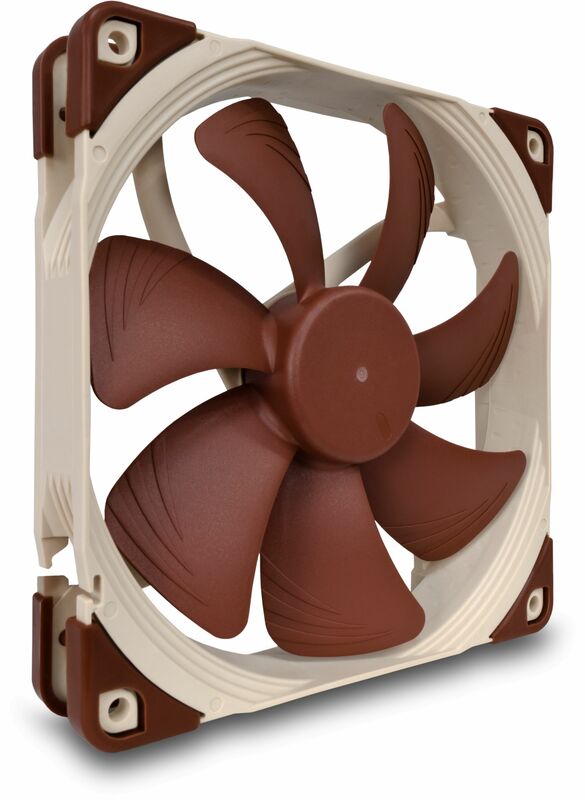 The NF-A14 is a premium quality quiet 140mm fan with a square frame that complies with Noctua's AAO (Advanced Acoustic Optimisation) standard. Its square shape and 140mm mounting holes (124.5mm spacing) make it ideal for use on watercooling radiators or as an upgrade for 140mm case fans. Featuring sophisticated aerodynamic design measures such as Flow Acceleration Channels, the NF-A14 further improves the renowned quiet cooling performance of the award-winning NF-P14. The ULN version provides super-slow 800/650rpm speed settings for ultra-low-noise applications and highly noise sensitive users who demand near-silent operation. Its superb running smoothness, reference-class SSO2 bearing and Noctua's trusted premium quality make it an elite choice for the highest demands. The NF-A14s square 140mm frame with 140mm mounting holes (124.5mm spacing) makes it a premium grade replacement for common 140mm case fans and perfect for use on 140mm water cooling radiators, where its square shape will ensure full coverage and best pressure performance. The fans short 20cm primary cable minimises cable clutter in typical applications while the supplied 30cm extension provides extended reach when necessary. Both cables are fully sleeved and the supplied 3 to 4 pin adaptor allows you to connect the fan directly to the power supply. Despite its further improved performance, the NF-A14 ULN consumes only 0.48 watts of power. This doesn't only make it eco-friendly but also helps to cut down the electricity bill! When running at low speed this fan is really really quiet. I am very pleased that I replaced the original case fans with this. Excellent product!